Water meters measure the volume of water flowing through the device, and being therefore consumed, (in m³). 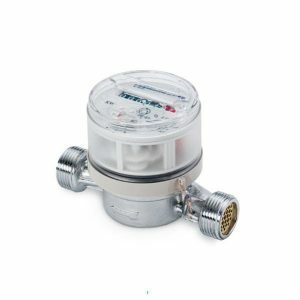 The water meter must be selected on the basis of the value of flow rates (m³/h), the water quality and the temperature. The construction and measuring principle of the water meter resembles the heat meter, but is significantly simpler than the latter. Until now, mainly mechanical water meters have been used in Estonia, but lately, and largely thanks to the new EU regulations and possibilities, interest in ultrasound water meters has increased. Special attention has been paid to remote reading – both for the company supplying the water as well as the end-consumer. The remote reading of consumption data is supported by the fact that this eliminates the higher monthly differences between the building’s general meter and the consumption date submitted by the inhabitants. The data is registered simultaneously, and the inhabitants do not have to climb into tight spaces that often house the water meter (manifold boxes etc.) with a flash light. Because of the remote reading system, the inhabitants of the building are protected in a situation, where the consumption is calculated on the basis of approximate data or the data not submitted by the due date, and where each flat shares a calculated part of the “general water”, which has not been consumed by most inhabitants in the building. The operating principle of the mechanical water meters is based on the measurement of the number of impeller rotations in proportion with the water flowing through the meter. The rotations of the impeller are transmitted to a dry roller mechanism through a four-pole magnetic clutch. This way, the air-tightness of the system is ensured. The specially constructed magnetic clutch of the water meter (on some models, a magnetic screen from a special alloy is used) has been securely isolated from the influence of external magnetic fields. The lack of significant pressure losses and a high technical reliability has been achieved through the use of a simple and reliable single-flow system. In addition to this, the modern and reliable construction of the measuring device enables to achieve a higher level of accuracy and stability during measuring. 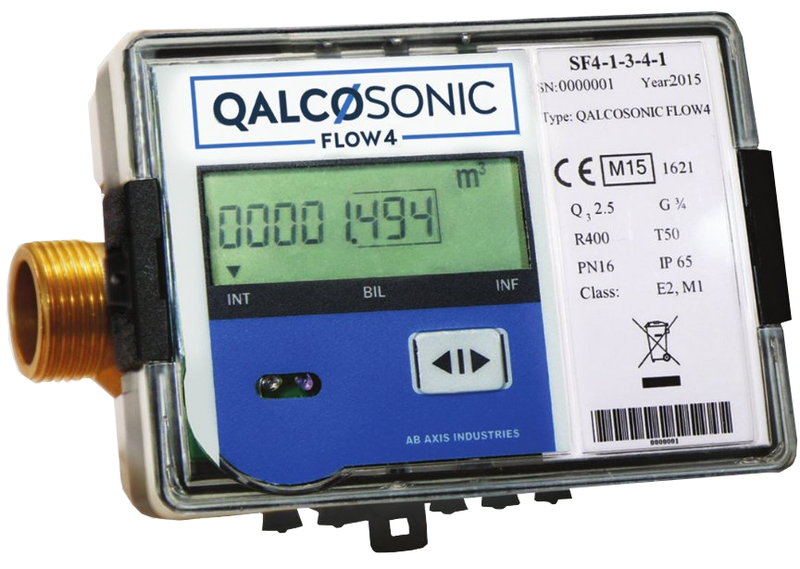 The product range includes both simple analogue gauge meters, as well as more modern water meters with an electronic display and different communications modules. The operating principle of the ultrasonic meters is based on measuring the ultrasound dispersion rate in the sensor’s measuring channel with locators, where one acts as a transmitter and the other as a receiver. The water’s moving speed is calculated on the basis of the difference in stationary and moving water, and this is later used for the calculation of the flow rate and volume. The ultrasonic meters usually have an electronic display, their installation position does not affect the accuracy of the measuring results, and they are much less sensitive to the “purity” of the water, in comparison with mechanical meters. Ultrasonic meters have of course a longer life span than mechanical meters, because they lack any moving parts. 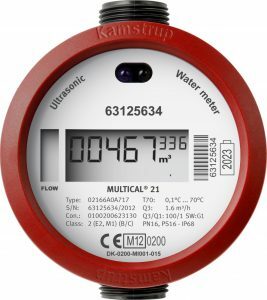 Depending on the need, we can supply the simplest water meters, as well as water meters with different optional communications modules. An M-bus or wireless 838MHz radio module – it does not matter, whether you are yourself building an in-house local network for consumption data, or whether you wish us to provide you with a full hosted remote reading service – contact us, and we shall work out the best solution for you.